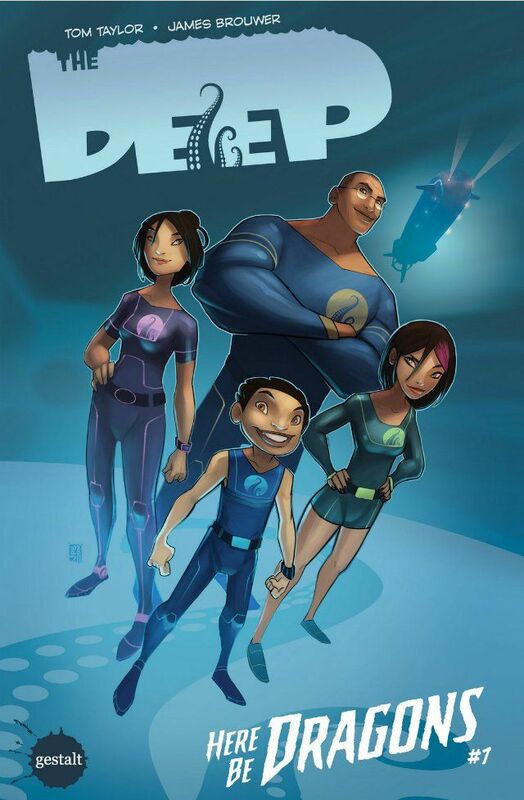 The Deep: Here Be Dragons #1 is not so much a comic book as it is an artifact from another time and place - a hypothetical Earth 57 where Stan Lee had been asked by his publisher to craft a team of superheroes to compete with The Sea Devils rather than The Justice League. And in fifty years time, when the preserved head of Alan Moore inevitably begins working on a League of Extraordinary Gentleman volume uniting all comic book heroes everywhere into one universe, we'll likely find The Nekton Family working alongside The Richards Clan and The Parrs to stop Namor and a resurrected Syndrome from unleashing an army of undersea monsters on the surface world. Comparisons to The Fantastic Four and The Incredibles are inevitable, despite The Nekton Family not having any superpowers. Tom Taylor's story is reminiscent of Mark Waid's work with both the aforementioned super-families, focusing as it does on a family of explorers who investigate the dark places on the edge of the map labeled "here be dragons". The characters are strictly stock - you've seen them all before in countless other family-friendly works, from the excitable genius son to the teenage daughter who longs for normalcy. Thankfully, Taylor keeps things fresh with a healthy dose of humor as the action advances and parents will find themselves able to enjoy the story as much as their kids. Were I asked to describe James Brouwer's artwork in a single word, I could only call it animated. Brouwer's style is lively and cartoonish, leaving every panel looking like a still from some high-quality animated movie project. 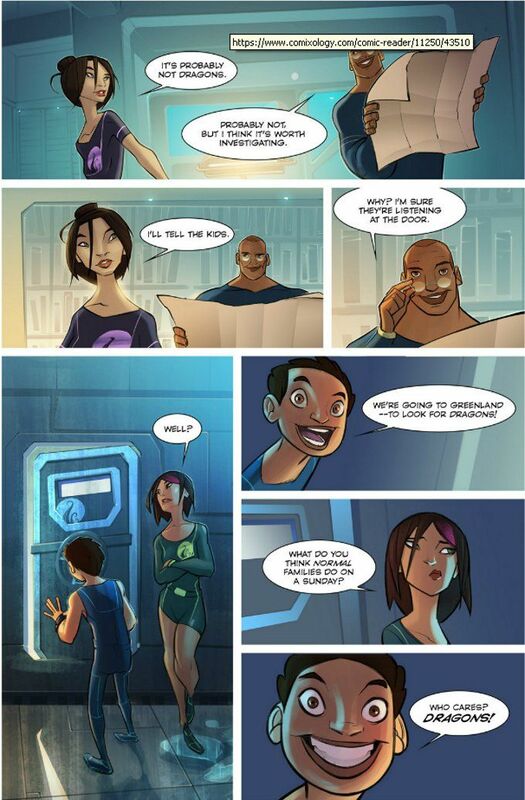 This further adds to the sensation that this book has come to us from a world where Pixar Studios created an animated version of The Deep starring The Rock as the voice of Will Nekton. After reading this first issue, I think I'd like to see that movie. But I'll settle for picking up the next issue of The Deep if that's all this Earth has to offer me. I think kids of all ages with a love of adventure will enjoy it as much as I did.